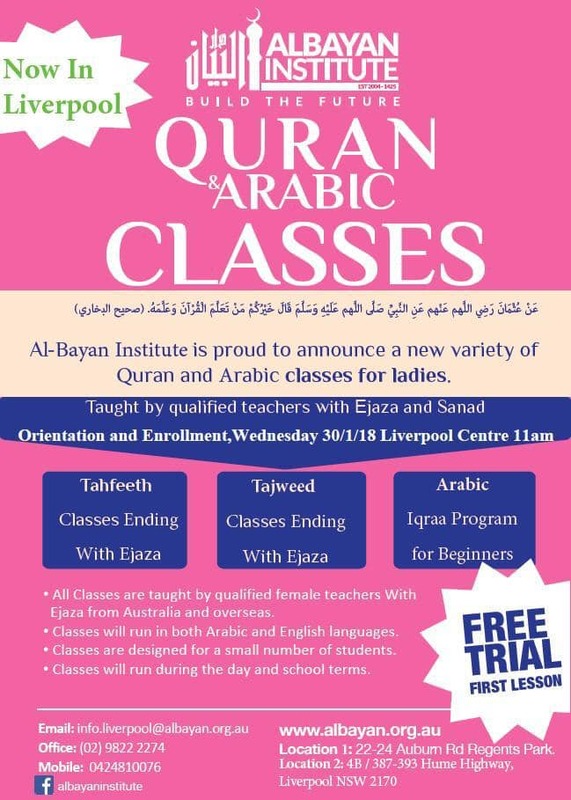 AlBayan Institute would like to announce the resumption of the LADIES ONLY Quran and Arabic classes for 2019 for the both the Regents Park and Liverpool branches. You can get a general feel of the classes since the first session is completely FREE! 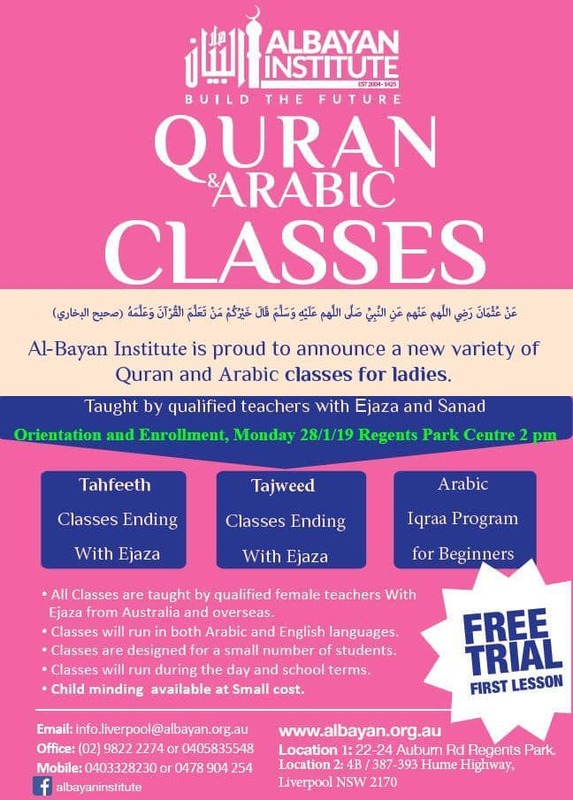 For contacting purposes, both flyers contain the details for their respective AlBayan centres, situated in both Liverpool and Regents Park.